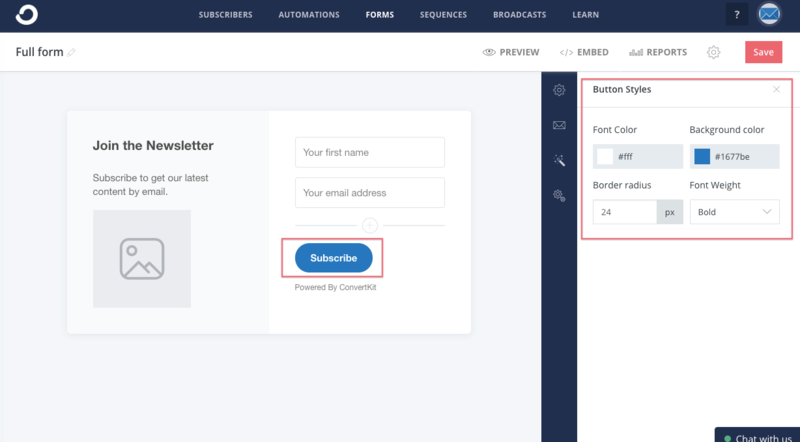 Within your ConvertKit account, you have several Form options available. 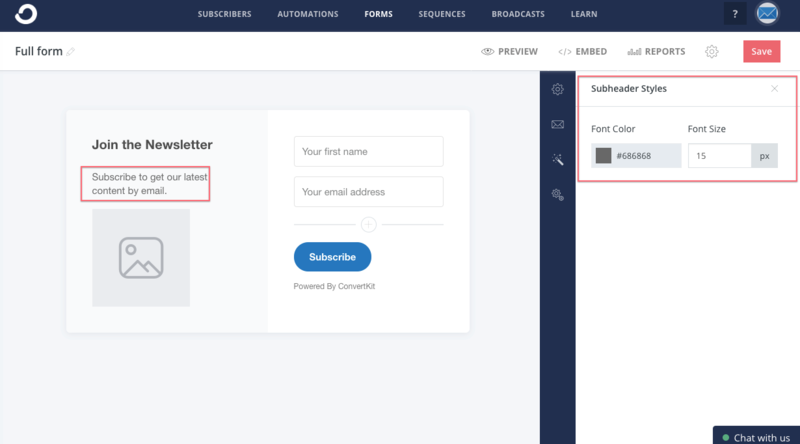 Our New Form Builder is a What You See Is What You Get (WYSIWYG) builder, so it will display your Form as you design it. You can also preview your Form while you work! Styling power for your form lies within the Magic Wand. Click into the sidebar settings to find it. 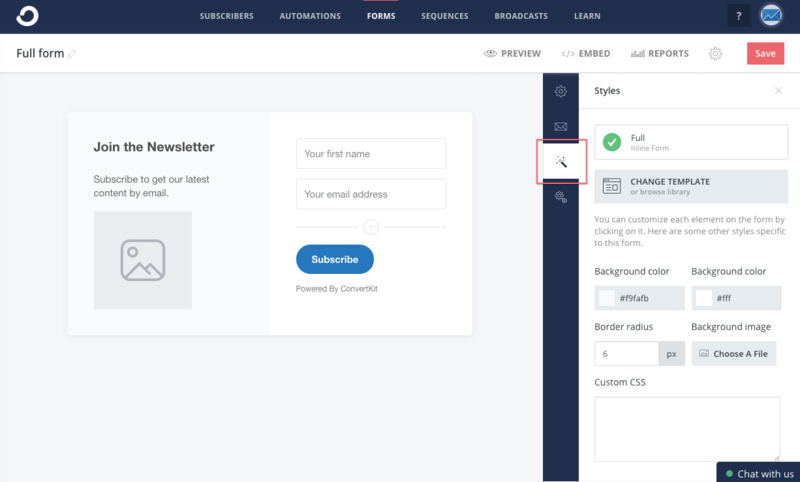 With the Magic Wand, you can change the Form Template, the background colors, and the background image. Just click those color boxes to insert your own branded hex codes! To change font color or size, click the text in the form. The sidebar will open on the right. Enter your branded hex codes in the boxes! Same works for the Header font. To change the button text or color, just click the button! To remove the "Powered by ConvertKit" text, click the text and uncheck the box in the sidebar on the right. You'll choose if you're designing a Modal form when you first create your form. All of the elements are edited the same as an inline form, based on whether you choose Full, Minimal, or Clean style. Note: You can edit your form to be Inline, preview, and then switch it back to Modal. Just a clever workaround from us to you. Lastly, Modal Forms offer a number of options for how and when they display (including device type). You can read more about that here.